When a hi-tech dental clinic sets up in one of Malta’s most prestigious new business locations, Skyparks, right outside ‘arrivals’ at Malta International Airport, it’s clearly a sign of the interesting times in one of the country’s sectors earmarked for growth – health services and bio-medical technologies. 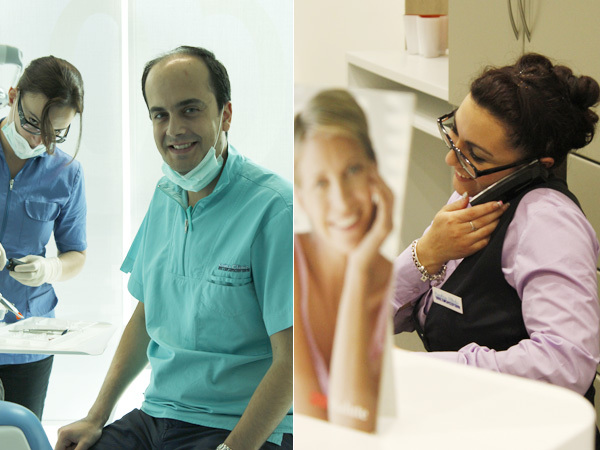 Savina Dental & Implantology Clinics opened its door around a year ago at Skyparks realising a long-held ambition of Dr Joseph Xuereb, Savina’s Principal and founder dental surgeon. Having started out in Victoria, Gozo, where the first clinic still operates, Dr Xuereb was always driven by a desire to see his practice keep at the forefront of dental industry advances. Importantly, he wanted also to make a mark on how dental services are delivered in Malta, not only to local residents and expats, but also to the growing number of overseas patients. The airport business park location and Savina’s professional team, which includes speakers of French, German, Arabic, Italian, are key to gaining overseas business. However, to compete internationally takes more than providing convenience for prospective clients. For a dental practice in Gozo to make the leap of faith took serious professional and financial commitment. We spoke to Dr Joseph Xuereb about his passion for his work, the aims of Savina at Skyparks, as well as his deep fondness for Malta, and especially his home island of Gozo. Q. What attracted you to dentistry in the first place as a career? I had always been inclined towards the caring professions, but to be quite frank, had never relished the prospect of pursuing a career in medicine. A word of encouragement from my father nudged me in the direction of dentistry. Q. What has surprised you most about the dental industry over the years? Right from my first involvement with dentistry, I was amazed at the rate of progress and new developments in the sector in the 1980’s. The introduction of new materials, techniques and equipment was happening at a steady rate back then, but is nothing short of frenetic now. Q. And what avenues has dentistry opened up to you that you couldn’t have imagined in the early days? Q. You are Gozitan born and bred and launched a successful career from Gozo managing to attract not just local but also overseas patients. What drew people to Savina as a clinic based on a tiny island? It is difficult to reply to this without sounding like a trumpet-blower! 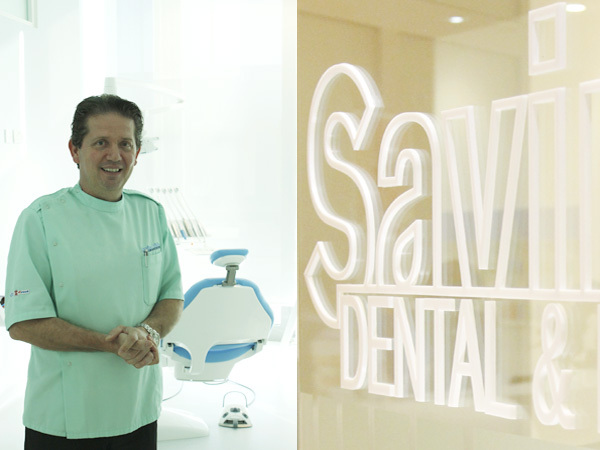 I was always fascinated by the new developments in dentistry and was quick to implement them at Savina. In the late 80’s we introduced porcelain laminate veneers to the local scene, quite a revelation in those days. Over the years, we introduced new ways to administer dental anaesthetics, became a mercury-free dental practice, pioneered gum surgery as an alternative to losing teeth and were among the first practices in the Malta to provide tooth whitening and dental implant treatment. 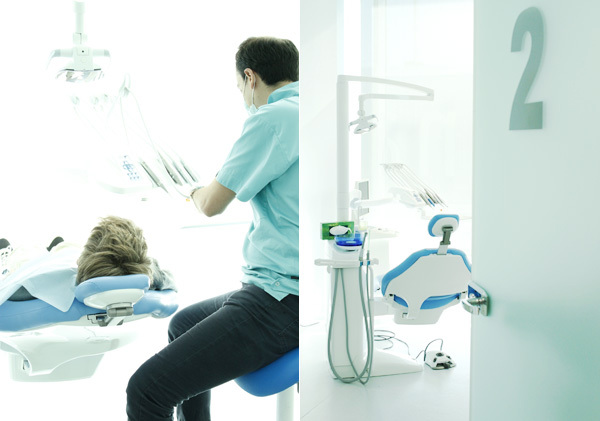 More recently, in 2009, Savina introduced stem cell banking from teeth to Malta, in 2010, installed the first-ever 3D Cone-beam CT scan for dental practices in Malta, in 2011 started implementing digital shade-taking for optimum aesthetic dentistry, in 2012 we were one of only three practices to adopt 3D digital impression taking for same-day porcelain crowns and bridges. In 2013 we invested in laser technology for use in periodontal (gum) and implant surgery as well as inaugurating our new practice at SkyParks Business Centre at Malta International Airport. Anthony and Graziella, friendly faces of Savina at Skyparks. Q. Technology aside, what else do you think is important in giving patients, particularly overseas clients, the confidence to opt for Savina Clinics? On a personal level, I think my post-graduate qualifications from the Royal College of Surgeons of England culminating in my Fellowship in 2004 must help in gaining patient confidence. In 2007, Savina Dental Clinic was accorded International Visiting Centre status by Zimmer Dental Implants in recognition of our record and commitment in the implant field. On a human level, our staff surely make an impact on patients with their professional and caring demeanour. Q. Medical tourism is a term bandied about a lot. It’s clearly a business niche Malta has been exploiting. How new is the concept of dental tourism though? And why do you think Malta – Savina in particular – has a clear offer in this niche? Way before the Internet and low-cost airlines made it easy for patients to seek dental treatment outside their immediate environment, Savina Clinic was treating the local expatriate community, who responded by encouraging their own friends and family not only to visit them but also recommending us as an alternative – this as early as the late 1980’s. This was a spur for us to keep expanding and investing in technology and training and this experience now serves us well in gauging patient demands and rising to their expectations. Malta has the advantage of excellent connections with several key European cities as well as a reputation for being a centre of excellence across many disciplines. Our patient base has served us very well in that key aspect of advertising that is word of mouth – their personal and online recommendations are an important source of referral. Q. Savina Clinic became ‘Clinics’ with the opening last year of a state-of-the-art practice at SkyParks, Malta International Airport’s business centre. Why there and why now? In the short quest for a suitable location SkyParks entered the scene quite early, and from then on, it was no contest. Where else could be more central, with excellent parking facilities, in a state-of-the-art, iconic building, an address in one word, and above all absolutely perfect for our clients, both local and visiting? SavinaClinic is in a process of expansion and its business plan is entitled “Placing Malta at the Forefront of the European Dental Tourism Market” At a time when we are seeking to reach out to more of these visiting patients, for us, locating our clinic in SkyParks is being at the right place at the right time. Q. What has Savina at Skyparks meant for your patients? Q. We sense Savina Clinics is becoming a family business. My daughter Alison, who graduated last year and joined the practice features prominently in our plans for the future. She will be pursuing her post-graduate education in the UK, but in the meantime forms part of a six-strong complement of dental surgeons and specialists who together run the Savina Clinics. In her own words: “This is what I have always wanted to do. I am sure dentistry will give me the same pleasure and satisfaction it has given my father and I look forward to the ever-present exciting new developments that make it so much easier to give our patients excellent all-round care”. Q. Talk to us a little about ‘Dr Joseph Xuereb’ when he’s outside the Clinic? There is never enough time, not enough hours in the day to do all the reading, walking, tennis, swimming, squash, following football and motor racing, eating, tasting exotic food and wine from around the world, travelling, relaxing and spending time with loved ones – but one must adapt and make the best of what time can be planned within the clockwork of the day’s limits. Music oils these wheels perfectly. Most importantly, one’s glass need always be half full! Q. And finally, what are your favourite places and aspects of the Maltese Islands. What a fantastic place Malta is to live in. So many magical locations, foremost among which is Gozo! Sailing in or out of Grand Harbour, ambling around Mdina at night, swimming in Comino’s Blue Lagoon, dining on Victoria’s Citadel at sunset, walking around the islands’ southern coastline must rank in my top ten list of all good things Maltese. All this and sampling our excellent produce and hospitality would surely round off any visitor’s checklist. Contact Savina Dental & Implantology Centres at Skyparks, Malta, and Victoria, Gozo. See the Savina Clinics website for full details of services and how to book an appointment.